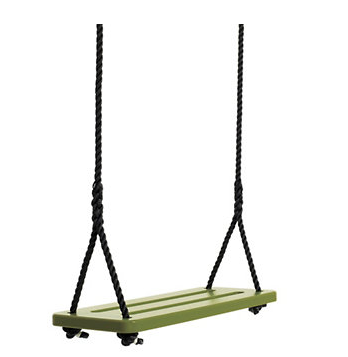 Ideal lazy outdoor lounging isn't complete without a good old fashioned swing. Designers Greg Benson and Jeff Taly created a modern interpretation of an iconic swing but instead of the typical wooden seat, this one is post consumer waste recycled plastic. Comes in an array of fade resistant candy colours with a sturdy plastic rope and available at Design Within Reach.